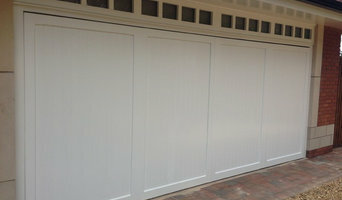 Garages are all about keeping your car, tools, garden equipment or other items tucked neatly away inside, so why not make the outside of your garage, namely your garage doors, as neat as possible too. A Penn, West Midlands garage door company will be able to make and install your garage doors to your specification; fitting in with your exteriors and giving you easy access to your garage. You can find Penn, West Midlands garage builders and repairers to install or fix your garage doors for you by searching on Houzz. You’ll find reviews, recommendations and photos of their previous work, so you can assess whether they will be able to produce and install the garage doors you’re looking for. Whether you are decided on a style and material or not, talking to a professional from a Penn, West Midlands garage door company or garage builders is always advisable because they will know more about the functionality, prices, durability and installation process than anyone else. You may find that you can find a garage doors repairer or installer through another professional, such as a building contractor or architect. Here are some related professionals and vendors to complement the work of garage doors: Cladding & Exterior Contractors, Doors, Home Builders, Design & Build, Artists & Artisans. Find garage door professionals on Houzz. Narrow your search for a Penn, West Midlands garage door company or garage builders by entering your nearest city or postcode. Look at portfolio and product photos, and read reviews to find the best garage door professional for your home.